Dance games have certainly come a long way since slippery plastic dance mats and the good news is that thanks to Kinect, you no longer have to remove your socks before strutting your funky stuff in front of your TV. 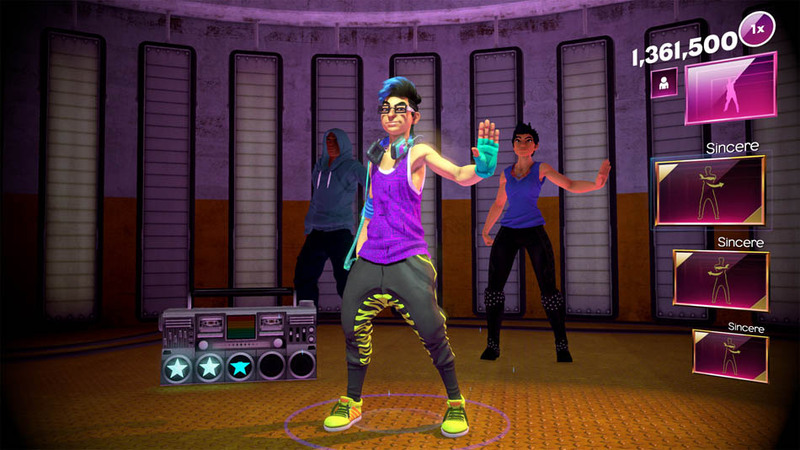 The new title from Harmonix, Dance Central Spotlight is the latest in the Dance Central series but, unlike previous titles, it’s download only. Whether you are new to the world of dance games or a seasoned pro the price tag of a mere £7.99 certainly looks like a smart buy. The game comes with 10 reasonably recent, popular dance tracks that will be familiar to most such as ” Diamonds” by Rihanna and Pharrell Williams’ “Happy”. There is a good range of tempos and styles although some people may be disappointed there is not a larger range of musical genres as seen in previous games. There are also over 50 songs for download in the in-play store which range in price from £1.59 for one track, £2.79 for a pack of two songs and £6.79 for 5 songs. Many of the songs were previously released as DLC for the other Dance Central games so if you have these already they will be free to import. However, you will not be able to use songs that came in the retail version of previous games. Harmonix promise new tracks on a frequent basis and will be choosing these by looking at what is hot in the charts and the clubs as well as taking notice of what gamers want. The game-play within the routines is almost identical to previous titles. Upcoming moves are shown to the right of the screen and you can see yourself in the top right corner (if you so wish – I prefer to ignore this so I can maintain the illusion that I look like the dancer on screen). Your body position is detected by Kinect and is very accurate; if a body part is out of place this is shown as a red outline on the dancer on the screen. You are given a score for each move based on how well you copy the dance move ranging from ‘nice’ to ‘flawless’. On receiving a flawless you will collect the card for this move. Collecting cards is the key to unlocking new routines. For each song there are eight different routines. These include four levels of difficulty: beginner, standard, deluxe and pro. At first you will only be able to play the beginner routine which, as you would expect is pretty straight forward and include variations of the side step but you will very soon have collected enough cards to unlock the harder routines. There are also two alternative routines which come with names like goofy, polished, manly and sweet and two fitness routines (cardio and strength – more about them later). This means that even though there are only 10 tracks in the game the variety of routines means you are getting a lot of dances for your dollar. As a player of previous Dance Central games, I can’t help but compare aspects to the other titles. I did find that I seemed to pick up routines much more quickly. This could be because my dancing has improved but this I highly doubt so I suspect the gameplay has got slightly easier. The ‘freestyle’ section in the middle of each routine is still there which I really don’t see the purpose off. My freestyling consists of a break and a quick swig of water and I don’t need to see this as a series of pixelated dots on the screen. I guess some people appreciate a chance to show off but without the choreographed moves I don’t feel the need to dance. If you wish to dance with a friend alongside you then there is this option and it works really well. You can start a routine together with a friendly high-five to get the party started or they can join in at any point in a routine by standing in front of Kinect. Despite my rather narrow living room my dancing partner and I managed to stay in view and dance next to each other without a single foot stamping or arm-flinging accident. Unless you are a fully-fledged dancer extraordinaire at some point you are going to find a move tricky and want a bit of help to master it. You can access rehearsal mode during a routine by saying “Hey DJ, Practice That!”. This will stop the action and allow you to slow down the moves and get vocal coaching to help you practice. Once you’re happy you’ve got it, you get to go back to where you left off. The responsiveness of the voice recognition was excellent and every time I needed the DJ’s help things worked perfectly. 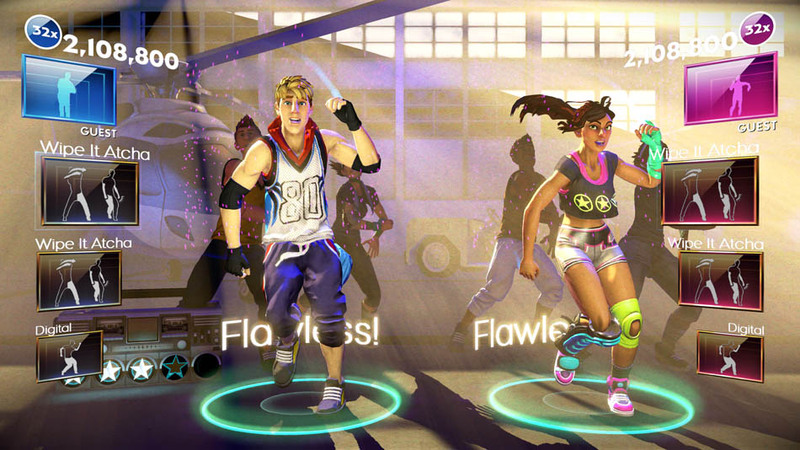 This addition to the game aims to appeal to those people who play dance games to feel the burn. In Fitness mode you can choose a workout from 10 to 90 minutes and will dance to a variety of the routines you have unlocked during normal game-play. Your time and calories burnt are tracked during the workout and these are aggregated on the home screen. This seemed a bit gimmicky and unnecessary to me. I’m not sure how accurate the calorie count is (although you can input your height and weight) and anyway, why do you need to know this in order to realise you are burning calories? Just doing a few of the routines, especially the more challenging cardio and strength ones, will make you feel tired enough to realise this. Also, there are a few things that annoyed me about the mode. There was no option to choose the difficulty level so even though you have unlocked pro routines you may not enjoy dancing them or be able to do enough of the moves. Also, there are no breaks in between songs so you have to manually pause for a well-needed drink. Fitness mode comes across like a bit of an afterthought and I can’t help thinking that it has the potential to be so much more. 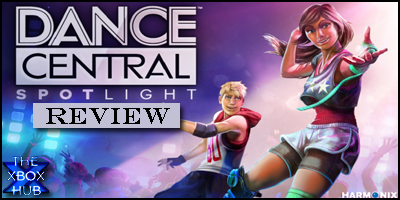 Although Spotlight doesn’t contain a large library of songs or the narrative of Dance Central 3, it is well worth its small price tag, especially if you want to try out a dance game for the first time without shelling out a heap of cash. Fitness mode is a nice idea and the fact that each song contains 8 different routines, with more songs on the horizon, means that this game should keep you dancing for the foreseeable future.